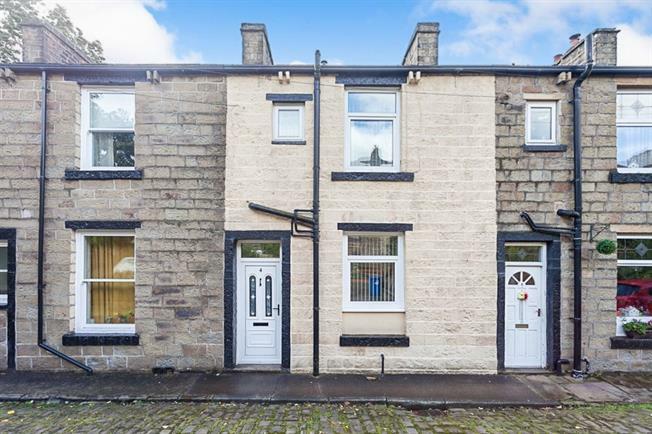 3 Bedroom Terraced House For Sale in Rossendale for Offers in the region of £110,000. This property's price has dropped from £125,000 to Offers in the region of £110,000. A deceptive size property with lovely hillside views and private parking! Situated in the most convenient area of Newchurch, within close proximity to schools, the amenities of Waterfoot and Rawtenstall, and not far from motorway links to Bury and Manchester, The property briefly comprises of, large kitchen/breakfast room, spacious living room with ample space for dining table and chairs. To the the first floor the property has three bedrooms and spacious family bathroom, the property also has a benefit of potentially extending into the loft space to provide a extra bedroom. The basement area has two rooms, cloakroom and pantry ideal for storage and work area. Double glazed uPVC window facing the rear. Radiator and gas fire, carpeted flooring, chimney breast, painted plaster ceiling, ceiling light. Sliding . Double glazed uPVC window facing the front overlooking the garden. Vinyl flooring, painted plaster ceiling, ceiling light. Roll top work surface, wall and base units, stainless steel sink and one and a half bowl sink, integrated, electric oven, integrated, gas hob, over hob extractor. Double aspect double glazed uPVC windows with frosted glass facing the front. Heated towel rail, vinyl flooring, built-in storage cupboard, painted plaster ceiling, spotlights. Low level WC, panelled bath with mixer tap, single enclosure shower, pedestal sink with mixer tap.